If American soccer fans still think of Steve Zungul at all, they probably think of him as an indoor player. After all, that is what he was for most of his American career, and he ranks as arguably the greatest player in the history of American indoor soccer. However, Zungul also had a substantial outdoor career, a fact that may have escaped the notice of many American fans, even those familiar with his indoor exploits. Slavisa Zungul was an emerging star in Yugoslavian soccer in the late 1970s, considered one of the best young forwards in Europe. By the middle of the 1978-79 season, when he was 24 years old, he had already played six-and-a-half seasons for Hajduk Split in the Yugoslavian first division, winning the Yugoslavian title twice (in 1974 and 1975) and scoring 177 goals, an average of more than 25 per season. He also had played 14 games for the Yugoslavian national team, including a classic overtime loss to world champion West Germany in the semifinals of the 1976 European Championships. Then, in December 1978, he defected to the United States. Yugoslavia, like the other Eastern European Communist countries of that era, had laws about when a player could move to the West. Yugoslavia’s laws were more relaxed than most, but they still required that a player had to be 28 and had to have completed his mandatory military service before he could go. Those standards were occasionally bent a bit, but never far enough to have helped Zungul, who in 1978 was still four years short of 28 and had not yet done his military service. So Zungul, who was having problems over back pay with Hajduk Split, saw no legal way out. Late in 1978, Hajduk, to its later regret, granted Zungul’s request to accompany his girlfriend, a singer, on a visit to New York during the mid-season winter break in the Yugoslavian schedule. Once in America, Zungul never looked back. His real objective was the North American Soccer League, but as an interim move, he began playing with the New York Arrows of the Major Indoor Soccer League. When officials at Hajduk realized that Zungul wasn’t coming back, they were infuriated, and pressured the Yugoslavian federation to take action against him. The Yugoslavian federation took the case to FIFA, and FIFA banned Zungul indefinitely from outdoor soccer anywhere in the world. And thus Zungul’s stay with the indoor New York Arrows lasted longer than he had planned. Zungul, who quickly became known in America as Steve, not Slavisa, played no outdoor soccer in 1979, 1980, 1981 or 1982, years that had once looked potentially like the prime of his career. In 1982, his FIFA suspension was partially overturned by the U.S. Supreme Court, on the ground that a foreign organization like FIFA had no standing to place restrictions on employment within the United States. 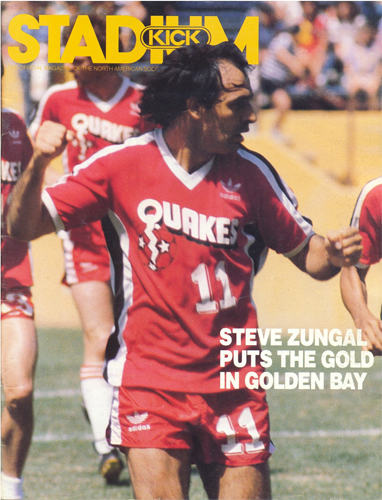 Zungul signed to play for the Golden Bay Earthquakes in the 1983 NASL season. In 1983, Zungul rekindled his outdoor career in pretty good fashion. He scored 19 goals in 27 NASL games, led Golden Bay to the semifinals of the NASL playoffs, and was named a first-team NASL all-star. In 1984, he repeated his all-star selection, led the NASL in scoring with 30 goals in 24 games, and was named the league’s Most Valuable Player. But that was the end, outdoors, for Zungul. The NASL folded before its 1985 season and Zungul, like a lot of NASL players, turned his full attention to indoor soccer. He played in the MISL until 1990, and retired with some astounding statistics for his 11-season indoor career: seven MISL championships, six MVP awards and more than 700 goals. There was more to Steve Zungul than just his storied indoor career. And, but for some unfortunate circumstances, there could have been even more.